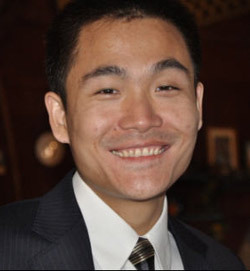 This is Nicholas Zhou. 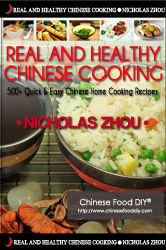 I am the author of the bestselling cookbook Real And Healthy Chinese Cooking (see book cover below). Most likely you came to this site because you love Chinese food and you want to learn how to cook real and healthy Chinese food at home. Or you think Chinese food is healthy and you want to eat healthier food. In either case, you have come to the right place. In this letter and my cookbook, I will show you how to live a healthy lifestyle by cooking real and healthy Chinese food. If you want to know more about me as a cook and understand why Chinese food is generally healthier, please keep reading. To jump ahead to read more about my bestselling cookbook Real And Healthy Chinese Cooking, please click here. If you can't wait to get your hand on my cookbook, please click here. I'm Nicholas Zhou. I love Chinese food since I was born. And I am a darn good cook. But don't take my word for it. Take a look at the following and pictures and find out how I taught others to cook Chinese food in cooking classes and how I often cook for big parties. I began to learn cooking Chinese food from my mom when I was 9. I was able to know the difference between ginger and garlic and how to use a pancake turner. When I was 12, I began to help my aunt in the kitchen (this was how I paid for my school clothes and supplies). My aunt was a very famous chef in town. Actually she was like the local chief chef and was invited to cook for all the major events, feasts and wedding parties held in town. She taught me everything about cooking - selecting ingredients, balancing nutrition, 6 key techniques in Chinese cooking, 8 Chinese cooking styles and even table etiquette. I still remember one day when I was 15. "Hui (my nick name), I don't have anything to teach you any more." My aunt said after a graduation feast. I guess that's when I graduated from Chinese cooking school. In the past 10 years, I never stopped learning cooking. I always bring my favorite Joyce Chen wok with me whenever I move to. But I never thought of coming up with a cookbook until February 3rd, 1997 - my aunt passed away because of cancer. I didn't have a chance to say goodbye to her face to face because I was going to college far away from hometown. I was thinking of doing something for her. Nothing is better than writing a cookbook. After one and a half years of work, I came up with the Chinese version cookbook in 1998 and got it published with a national publisher. About 560,000 copies have been sold since then. 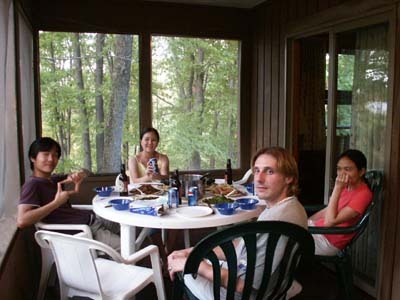 In 2000, my friend suggested that I should translate my cookbook into English and bring it to all people around the world who love Chinese food. In order to let this book be suitable for most people, I visited all the major Chinese restaurants here in Ohio and studied hundreds of restaurant menus. I talked to scores of doctors about healthy eating and nutrition. I subscribed to several major health publications and read health news regularly. After two years of research, I came up with my English version e-cookbook "Real and Healthy Chinese Cooking". You will be delighted to find this cookbook. To get my cookbook now and start cooking real Chinese food this weekend, please click here. "You Have Done A Fabulous Job On It!" "Thank you Nicholas for the wonderful cook book, you have done a fabulous job on it. I have been in New York for a while now at the culinary institute in Hyde Park. So I haven't been active on your recipe exchange. I am looking forward to using some of these recipes at the restaurant also... Warmest regards." I am having dinner with my friends (The first one from the left is me!). 1. Over a billion people worldwide are now overweight and 300 million are clinically obese. People who are overweight have a higher risk of developing serious health problems in later life, including heart disease, diabetes, stroke, type 2 diabetes, bowel cancer, and high blood pressure. Most people put on excess weight because their lifestyles include an unhealthy diet and a lack of physical activity. 2. According to Cancer Epidemiology, Biomarkers and Prevention, post-menopausal women may reduce their risk of developing cancer by 35% if they eat a healthy diet and lead a healthy lifestyle. This result was based on 29,564 post-menopausal women, aged 55-69 for a research period of 13 years. 4. Eat low fat food regularly can reduce the chance of developing heart disease and certain cancers. 7. Foods that contain the mineral selenium and plant-based chemical sulforaphane in combination may have a 13 times greater ability to protect against cancer than when the food compounds are used separately. Eat healthy and balanced food daily can protect us from developing major health problems like heart disease, cancer, diabetes, stroke and high blood pressure. "Your Cookbook Is The Best I've Ever Seen." I think your cookbook is the best I've ever seen. We have a huge collection of cookbooks, both paper back and ebooks. I must have read more than 30 Chinese cooking books. But I never found one close to yours. I am surprised to know that you spent 4 years on this cookbook. But I can see why. Look at the detailed cooking directions and beautiful pictures! I think it must be very hard for you to write in English since you are international. But you are doing great! My whole family know your name, Nicolas. My son even asked me to invite you to our home and cook for us! (He is only 6 years old). Anyway, we all thank You for your wonderful cookbook and work!" Healthy & Balanced Food for You! This is the traditional symbol for the forces of yin and yang, sometimes described as two fish swimming head to tail. The left half is yin and the right half is yang. Taken literally, yin and yang mean the dark side and sunny side of a hill. People commonly think of yin and yang as opposing forces. However, it is really more appropriate to view them as complementary pairs. The Chinese believe problems arise not when the two forces are battling, but when there is an imbalance between them. Floods, divorce, or even a fire in the kitchen - all can be attributed to disharmony in the forces of yin and yang. How does the concept of yin and yang relate to food? A basic adherence to this philosophy can be found in ANY Chinese dish, from stir-fried beef with broccoli to sweet and sour pork. There is always a balance in color, flavors, and textures. However, belief in the importance of following the principles of yin and yang in the diet extends further. Certain foods have yin properties, while others have yang properties - Cooling or warm, fat or non-fat, high-calorie or low- calorie, and etc. Almost no foodstuff is purely yin or yang - it's more that one characteristic tends to dominate. It also reinforces that it is not so much the individual ingredients, as the the balance and contrast between ingredients in each dish, that is important. Interestingly, cooking methods also have more of a yin or yang property, as the list below demonstrates. Chinese food emphasizes on consuming a diet that contains a healthy balance between yin and yang. You'll find most Chinese dishes are made of a mixture of ingredients and each meal is made up of a combination of dishes. I know you have already realized that Chinese food is healthy and balanced food that is good for your health. Before you start looking for vitamin pills or supplements, start eating a health and balanced diet from today. "Thank You For Such A Great Cookbook!" I am enjoying your recipes and I thank you for such a great cook book. I would love to have you talk about Healthy Chinese Recipes on WSBS radio. I produce Ms Ruby's Food Talk on Thursday mornings at 9:30am eastern time with Ruth Adams Bronz who is a cookbook author and restaurant owner. What would you say to a 30 minute interview some Thursday morning. Please let me know and keep the recipes coming. The ginger beef recipe was delicious." Get the cookbook in NOW and start cooking authentic Chinese food this Friday! To make it even better for you, I'm also including 2 bonus cookbooks with your order. To see more details about the two bonus books, click here. * Please note that there is cross-listing. All of my recipes are geared specifically toward those of you who are very busy with other important parts of your lives. No fancy ingredients or equipment required. I've simplified everything for you! Never spend hours to prepare a dinner for your family any more, or a whole afternoon for your graduation party. Armed with this cookbook, you could easily fix a whole table of delicious dishes in less than 45 minutes. Guess how long it takes for you to cook these 3 dishes? Less than 45 minutes! But don't take my word for it, read the testimonials on this page and see what other people are talking about it. "We Are Enjoying The Cookbook Very Much!" Just wanted to write and let you know we are enjoying the cookbook very much. We tried the Cantonese Spring Rolls last night and boy was it good. So far my wife's favorite has been the Boiled Dumplings. I can't wait to try the baby back ribs...grin. Thanks again for some great eating!" Have you ever thought that you can also make ALL of them in your own kitchen? Ever wonder how your family may react when you cook Cashew Chicken for them? How about Bubble Tea for your birthday party? I know you WILL like that feeling! "They Thought That I Must Have Learnt Cooking Chinese Food For Years!" I have enjoyed the recipes. Every time before I cook, I would print the recipes and bring them to my little kitchen. I can really feel that my cooking skill has been dramatically improved. Last week I invited all my college friends to my house for my birthday party. You know what I cooked? I made hot and spicy spareribs, sautee string bean, almond chicken and bubble tea. My friends were amazed by them. They thought that I must have learnt cooking Chinese food for years. But you know I just bought your book last month! I have printed most of your recipes and place them in a folder/binder for future cooking. It was all very good. Thanks so much!" Chinese cuisine aims for perfection and balance among four elements in each dish: color, aroma or fragrance, flavor, and presentation. Colors should be pleasing, showing that the ingredients are fresh and tender. Aromas should be appetizing. Finally, the dish should be beautifully arranged and presented. Good Chinese cooking is also distinguished by its meticulous cutting, careful blending of seasonings, and attention to temperature control. With this in mind, I feel it's better if I can add pictures into the cookbook. I know it's a little bit scary to cook Chinese food by yourself for the first time - You never know how the dish should look like. But NOT with my cookbook! You will get 543 pages of over 500 recipes with 173 color pictures! "I Have Been Looking For Years For Chinese Food Recipes And Until Now Have Not Received More Authentic Tasting Recipes." This is to let you know how much I appreciate your recipes. I have been looking for years for Chinese food recipes and until now have not received more authentic tasting recipes. Thank you again and keep up the good work." Learn how to cook the most popular dishes from four major regions in China. Beijing. Beijing cuisine is also called "mandarin cuisine". Many of the foods in this region are wheat-based (as a opposed to rice-based). Beijing cuisine consists of a variety of dumplings, baked and steamed breads, various buns and noodles. Mandarin-style meals usually include vegetable dishes, soups, tofu (soybean curd), and fish. The food is mild in taste, is often slightly oily, and vinegar and garlic are common ingredients; food is frequently fried, stewed, or braised. Cantonese. From Canton or "Guangdong" Province in the southeastern part of China (the same area as Hong Kong), Cantonese food is the mildest and most common kind of Chinese food in the United States and many other countries. Cantonese food tends to be more colorful, less spicy and is usually stir fried, which preserves both the texture and flavor. Szechwan and Hunan. Food from the Szechwan (or "Four Rivers") basin is characteristic south-western Chinese food. Food throughout the western regions of China are liberal in their use of garlic, scallions, and chilly. Consequently, it's the spiciest region of Chinese food available and certainly very tasty. When prepared in a traditional manner, many of the dishes are very hot, although banquet dishes tend to be milder. Sichuan food is distinguished by its hot peppery taste, while food from neighboring Hunan province is richer and a bit more oily, and may be either spicy and hot or sweet and sour. Chicken, pork, river fish, and shellfish are all popular items. Choose your favorite dishes based on different styles. But never limit yourself from one style. You can always find wonderful dishes from every cooking style. "I Managed To Lost 25 Pounds And 3 Sizes (Using Your Recipes)!" I feel that I must write to you. I could never believe I can also enjoy all the food I want! I began to cook Chinese food at home since I bought your wonderful cookbook in February. 5 months later, I managed to lost 25 pounds and 3 sizes without any special diet or treatment! Then I told my friend Lisa about my story. She also got your book and started practicing cooking. You know what? She also lost 15 pounds in 2 and a half months.! Mr. Zhou, thank you so much for your work! I would like to tell the whole world about how great your book is and how much I appreciate your help! Bonus #1: "Cooking With Nicholas Zhou: From Novice To Master"
It's regarded as the most complete while simplest guide to real Chinese cooking. Other people are selling this kind of book for $20 or $30, but I am going to give it to you as FREE bonus. Bonus #2: "Chinese Cooking Glossary: Ingredients And Cooking Terms"
Armed with this powerful book that took me 5 years to finish, you'll never need to search everywhere to find certain ingredients and the meaning of a certain cooking term anymore. You can access over 500 most popular Chinese cooking ingredients and cooking terms with a click of button. What's more, you can find over 200 colorful pictures that will tell you exactly how those "weird" ingredients look like! - A super bonus for FREE! Bonus #3: "FREE Real & Healthy Chinese Cooking Weekly Newsletter"
"Real & Healthy Chinese Cooking" newsletter is delivered weekly, which contains only new and original healthy Chinese recipes and valuable cooking tips that you can use in your everyday cooking. There are probably thousands and thousands of "cooking" related newsletters out there, and most just ramble on about nothing. Our newsletter is guaranteed to be short and to the point. All about quick, easy, and healthy Chinese cooking. It has helped over 15,000 people worldwide to improve their health. Bonus #4: "FREE Lifetime Upgrade"
I will keep adding new recipes, pictures, cooking tips and cooking terms into all my 3 ebooks including "Real And Healthy Chinese Cooking", "Cooking With Nicholas Zhou" and "Chinese Cooking Glossary". Whenever I do any update, I will send you email with the link to download the updated version - FREE for your lifetime! "I Was So Impressed And Even Moved To Tears..."
One thing about your service that I like is that you're a real person. I still remember last time when I wrote to you about using coconut oil in your recipe. I got your reply in 30 minutes after I sent the email. In your email, you gave detailed instructions on how to select coconut oil, what brand to buy and even pictures of your recommend products! I was so impressed and even moved to tears. I mean I know your real <smile> but you actually correspond with us and ask for our opinions. I was very surprised... I thought most business were just sort of automated somehow. Its nice to have a personal touch. Thank you!" NOBODY else is showing you this. NOBODY else has such an extensive collection of authentic and healthy Chinese recipes in the past. So, are you impressed? Sure you are! You can get my 543 page cookbook for only $19.97 (IMPORTANT NOTE: Real & Healthy Chinese Cooking is actually worth well over $35, but you can order it for only $19.97 here). You understand that this is nothing compared to what you'll spend in Chinese restaurants, vitamin pills and supplements or your local cooking school! I know another Chinese food cookbook which only has 230 recipes and is sold for $34. Most good online cookbooks are sold between $25 to $45. Never mention those expensive cooking schools. They usually cost hundreds of dollars. At a little over 3 cents per recipe, you receive all I know that just permitted me to become a professional chef! PLUS 4 FREE bonuses at a $143+ value. You can spend dollars going to Chinese restaurants and eating their not-always-healthy food. You can spend years looking for ways to lose weight and live a healthy life. Or you can get all my aunt's and my knowledge for a small amount of money in 3 minutes. If you want to order my cookbook, I insist you do so entirely at my risk. That is why the cookbook comes with a... No risk, 100% Money-Back Guarantee. 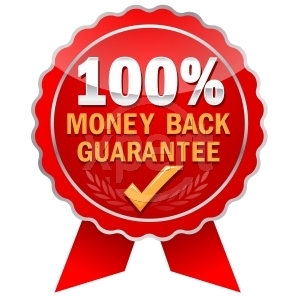 There is absolutely NO RISK on your part with this 60-day 100% Money-back Guarantee. What I mean is, I want you to order without feeling you might "get taken". After all, I am a very respected chef and my reputation is on the line. Therefore, I want you to order this cookbook today...read it, use it... if it is not 100% what I claim it to be, simply return it for an immediate refund of your purchase price within 8 weeks/56 days of your purchase. And you can still keep you four FREE bonuses! You simply can't lose. I personally guarantee that you will improve your and your family's healthy instantly. Otherwise, we will give you 100% refund. No questions asked. ALL of the bonuses (worth $143+) as my way of saying thanks. Real Chinese Food This Weekend! ***Special "Thank You" Price of Only $19.97. YES! I can't wait to cook delicious Chinese food for my family and improve my health in as little as one week. Get 100+ KILLER Chinese cooking tips from over 10 master chefs. Quickly and easily improve your family's health starting in 1 WEEK. Get 338 low carb recipes, 289 low fat recipes, 356 low calorie recipes and more! I understand that not only will Real & Healthy Chinese Cooking™ (RHCC™) pay for itself many times over, but I also enjoy an 60-day money back guarantee with this offer. If I'm not 100% satisfied with RHCC™ for any reason, I can get my money back on the spot. On that basis, here is my one-time only payment of $19.97 "Thank You" Price. If you do not have a credit card or PayPal account, or you prefer to pay using money order or certified check, please email me at with your request. I look forward to getting a letter from you, telling me about your experience of cooking Chinese food. Even though I get an enormous amount of mail, please write to me. I'd love to hear your success story! P.S. My cookbook and the two bonus books are electronic downloads so you can get started right away! No Shipping, No Waiting! P.P.S. If you don’t order "Real And Healthy Chinese Cooking" right now, how will you get all the mouthwatering and healthy Chinese recipes? How will you learn all of the tricks and techniques that you need to know to eat healthy and balanced food? You have nothing to lose ordering "Real And Healthy Chinese Cooking", no matter what country you’re in. eat healthy and balanced food on a daily basis.